There has been some negative buzz around the recent changes made to the Netflix API and its terms of service, largely made popular by a post on Goodfil.ms (now updated). The issues surround a couple of changes that appear to limit the ability of third-party developers to make money on apps that use the API and limit their access to some Netflix data like rental history. Rather than jump on the bandwagon we took some time to look into the issue and, as happens in many of these cases, there is more smoke here than actual fire. Over the past years the Netflix business has evolved to focus on delivering a great streaming experience on a wide variety of consumer electronics devices. Similarly, we have been evolving our API program to focus on servicing the rapidly growing universe of these devices used by our more than 26 million streaming members globally. As the API program evolves with the business, we now need to make some changes. While we will continue to support third parties as they develop and offer Web sites and applications that interact with Netflix, these changes are designed to do so in a way that is aligned with our broader objectives. Basically, the Netflix API has been being used by a bunch of third-party developers to build apps that make recommendations and adding to your queue easy on mobile devices and the web. As far as we can tell in speaking to developers that have used the API and continue to use it, the changes outlined in the Netflix blog post will not affect them much, if at all. The biggest alteration to the API is that Netflix will remove the access that apps and developers have to the rental and instant-watch history of its users. This was already limited to specific consent by users who had to log in to allow access, but will not be a part of the information available in the API at all as of September 15th. 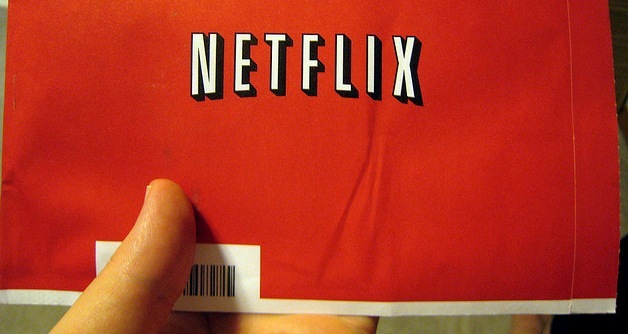 Users will still have access to their own history on Netflix.com. This should allow them to export their data on a personal basis. The video streaming landscape is far more packed with competitors, like Amazon and others, these days and Netflix is out to protect data that it feels is proprietary. It’s as simple as that. If the service provides this data in ways that could theoretically be used by its competitors, it’s simply not practicing good competitive strategy. The key here is ‘enterprise application’, not ‘consumer application’. This is a matter of Netflix angling to prevent other companies from using its database to sell their own product. Or, for that matter, using it as a way to generate competitive reports and intelligence that can be used against Netflix. It’s not about the hundreds of developers making cool web tools or native mobile apps with the Netflix API. Evers says that Netflix will take a look at the terms to clarify them in the future. Note that an app that solely uses Netflix data to sell DVDs on Amazon, or allow people to watch it instantly in other places, is likely to be in trouble under the new terms. So, in the end, developers will still be able to make money on their apps that use Netflix, either directly or indirectly through ads. It’s the business-to-business aspects of scraping the Netflix database and shipping that out to other competitors that its trying to curtail here. Losing functionality on an API is never a reason to celebrate, but it doesn’t seem to be as big of a deal here as it may have looked initially.